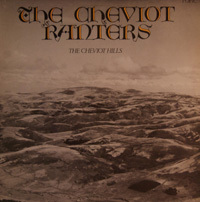 The Cheviot Hills’ was the second album by the acclaimed Cheviot Ranters’ Country Dance Band for Topic records, it is a wonderful programme of old time and country dances ideal for the dancer and the listener alike. The Cheviot Ranters were arguably the the most distinguished and ‘authentic’ of the English folk dance bands, and grew out of the monthly meetings of the Northumbrian Pipers’ Society. Formed in 1955 the band played for local social dances in Northumberland and Durham. Within a year they had established themselves as a prominent dance band on radio and television.